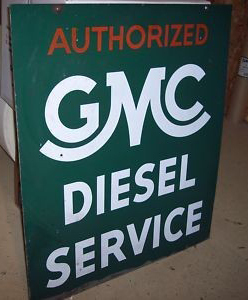 This small green Authorized GMC Diesel Service sign features a nice, simple design. The sign measures 36″ by 42″ and has a green background with red and white text. “Authorized” appears in red text while the remaining text is in white text.